Electromagnetic flow metering is widely used for conductive liquids, such as water acids and alkalis. It's also effective in many other process applications using clean, dirty, and process liquids and slurries. While electromagnetic flow metering is primarily used in full pipes, they can also be applied to partially full pipes and channels often found in effluent applications. Electromagnetic flow metering is based on the principles of Michael Faraday's 1832 discovery. When a conductive liquid, such as water, is moved through a magnetic field a voltage is induced in the liquid at right angles to the magnetic field. The size of the voltage is directly proportional to the volume flow rate. This induced voltage is detected by sensors known as electrodes. These electrodes transfer the voltage signal to the processing electronics where it can be converted into a usable industrial standard signal. It's important that the flow meter tube is non-magnetic, and austenitic stainless steel is the most commonly used material. 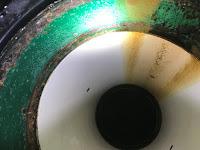 It's also essential that the flow meter tube has a lining that electrically insulates it from the liquid inside, and provides a non-reactive barrier with any corrosive liquids being measured. Distinguishing between flow induced voltage changes, electrochemical noise, and plant induced noise, is a barrier to accurate electromagnetic flow metering. This can be particularly difficult in dirty and industrial applications. The choice of electromagnetic flowmeters with advanced noise suppression can mitigate unwanted noise and provide extremely high orders of accuracy as a result. To ensure that your electromagnetic flow meters will be optimized for safety, longevity, and performance, the advice of a qualified flow instrumentation expert should be sought out. That expert will be able to help you with the best selection of the appropriate flow device for your specific application, be it electromagnetic flow meters or another flow technology. A piece of equipment used in hydraulic fracturing is the blender truck. It contains the equipment used to prepare and measure the "frac fluid". 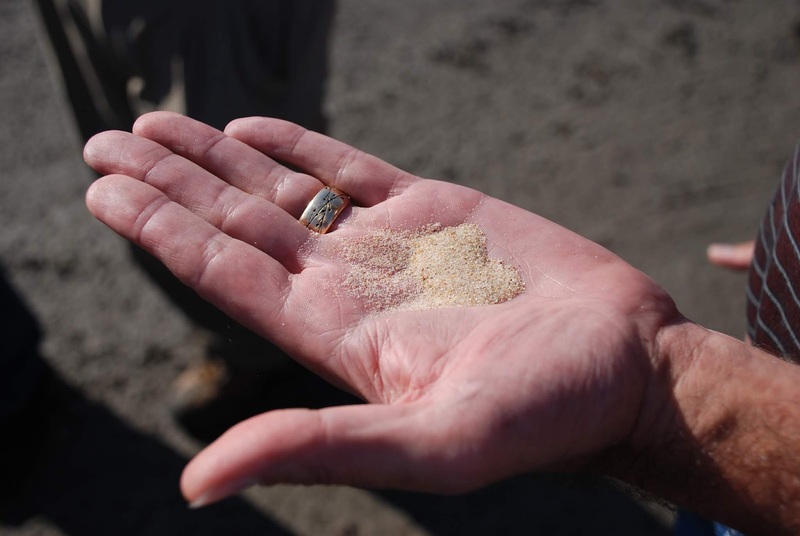 Frac fluid is composed of water, sand, specialty chemicals, and gels, and is highly erosive and sometimes corrosive. This "blended" mixture of sand, water and chemicals is then injected into a well to hydraulically open cracks in the rock layers below. By opening the cracks, trapped natural gas and petroleum is released and flows more freely. Magnetic flowmeters are employed to measure the frac fluid flow and volume. These flowmeters must accurately meter the frac fluid into the well, stand up to the continual erosive media, and be durable enough to handle the harsh ambient conditions. Standard process magmeters experience shortened lifespans under these conditions and must be pulled from service and repaired. A better alternative is a severe service flowmeters designed specifically for this service. The use of solid tungsten electrodes. The TECO fracing flowmeter provides huge benefits, namely operators save money through increased uptime, they reduce health, safety and environmental risk, and reduce costs related to magmeter replacement and repair. In general, magnetic flow meters are sturdy, reliable devices able to withstand hazardous environments while returning precise measurements to operators of a wide variety of processes. 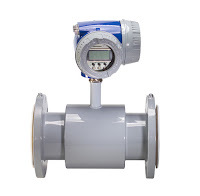 The magnetic flowmeter has no moving parts. Electromagnetic meters will measure virtually any conductive fluid or slurry. This includes process water and wastewater. They provide low pressure drop, high accuracy, high turndown ratio, and excellent repeatability. It is however, necessary to fill the entire cross section of the pipe in order to derive useful volumetric flow measurements. Electromagnetic flow meters employ Faraday’s law of electromagnetic induction, whereby voltage is induced when a conductor moves through a magnetic field. The liquid acts as the conductor, with energized coils outside the flow tube creating the magnetic field. The produced voltage is directly proportional to the flow rate. Magnetic flow meter technology is not affected by temperature, pressure, or density of the subject fluid. 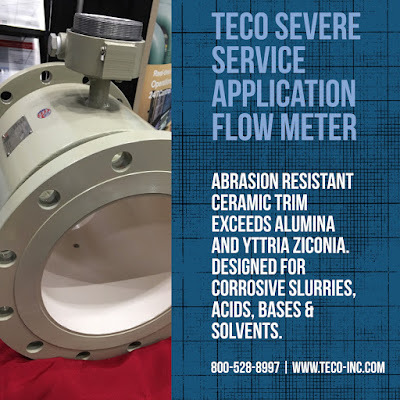 Severe application magnetic flow meters provide erosion and abrasion resistant designs, capable of withstanding a variety of highly erosive applications and corrosive slurries. These special-purpose electromagnetic flow meters utilize liners made from specialty materials like magnesia stabilized zirconia ceramic or aluminum oxide ceramic, have electrodes made of exotic metals such as Hastalloy B/C, titanium, platinum, or tungsten carbide, and include specialized coatings. 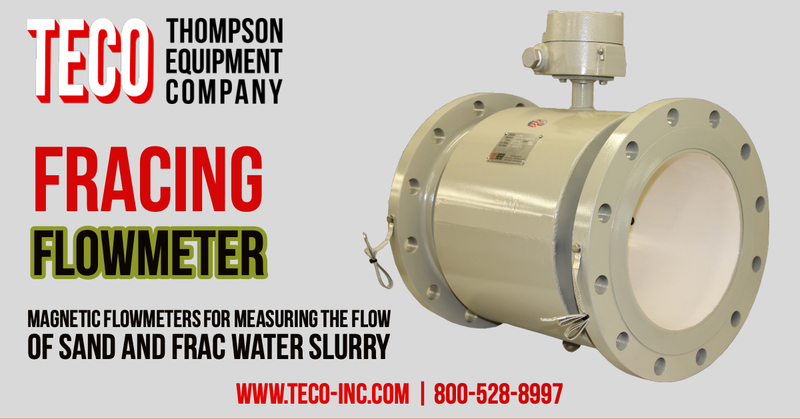 Contact Thompson Equipment Company (TECO) with any magnetic flow meter requirement. Their decades of applying, repairing, re-manufacturing, and designing magnetic flow meters will assure a successful implementation. 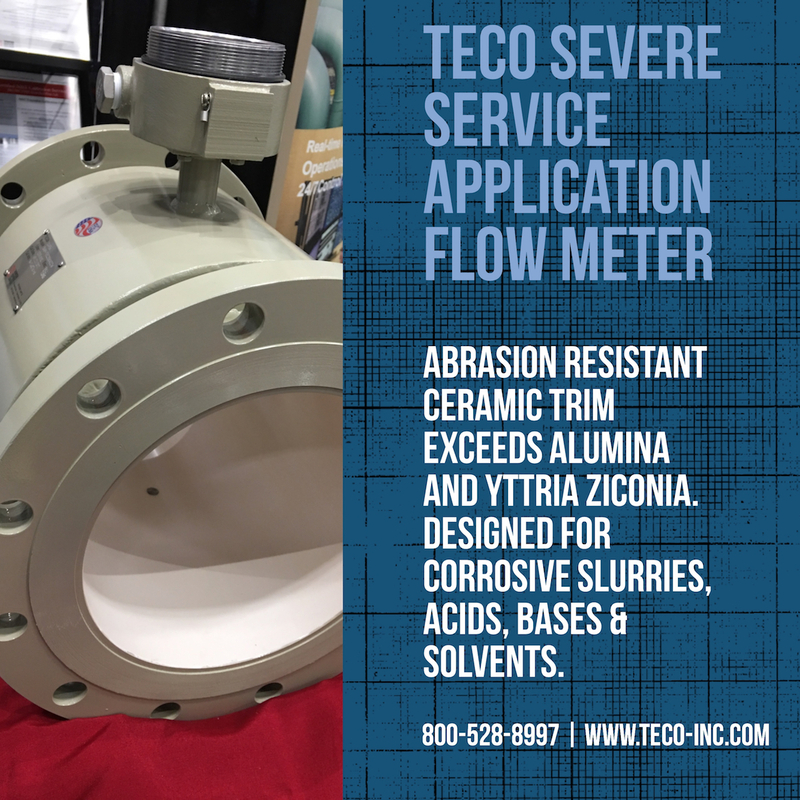 A patent pending magnetic flowmeter with abrasion resistant ceramic trim that exceeds the capabilities of Alumina or Yttria Zirconia. Capable of withstanding a variety of corrosive slurries, acids, bases, and solvents. When suspended solids are mixed with a liquid (such as water), a mud-like substance referred to as a “slurry” is formed. Slurries are challenging because of their abrasive nature. 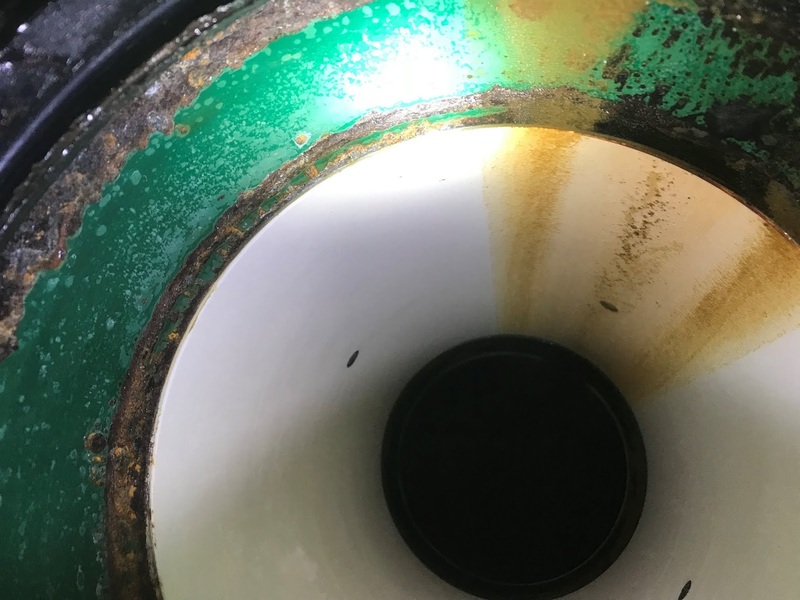 Add a highly caustic or acidic condition to the slurry, and the magnetic flowmeters (Magmeters) used to measure flow become particularly susceptible to failure. In these situations off-the-shelf magnetic flowmeters won’t last, so consideration must be given to custom flowmeters built specifically to withstand the application’s unique requirements. Hydraulic fracturing (fracing) is one industry where the movement and handling of slurries is very common, and specially designed Magmeters should be used. Thompson Equipment (TECO) is now offering their "Severe Application Meter (SAM)" (patent pending) which is specifically designed as the world's first Magmeter developed specifically for the hydraulic fracing industry. It is designed with an impact and wear resistant ceramic liner, solid tungsten carbide billet electrodes, and quick change Victaulic flanges. The SAM can also be retrofitted to the customers existing electronic secondary system, such as Rosemount, E+H, Yokagawa, etc. For more information, contact TECO by calling (504) 833-6381 or by visiting https://www.teco-inc.com.